Work with a designer to personalize your wedding invitations and then print at home or locally! Our paper and envelopes are available in 130+ colors and can be mixed and matched to compliment your special day. + Add fun printed envelope liners to take your invitation to the next level and show your personality. All the pricing you see on our website is the assembled price. If you're crafty or want to save a buck where you can, we offer DIY that are $0.50+ off each invitation. Should you choose to assemble them yourself, we have adhesive recommendations and instructions to make the process a little easier. 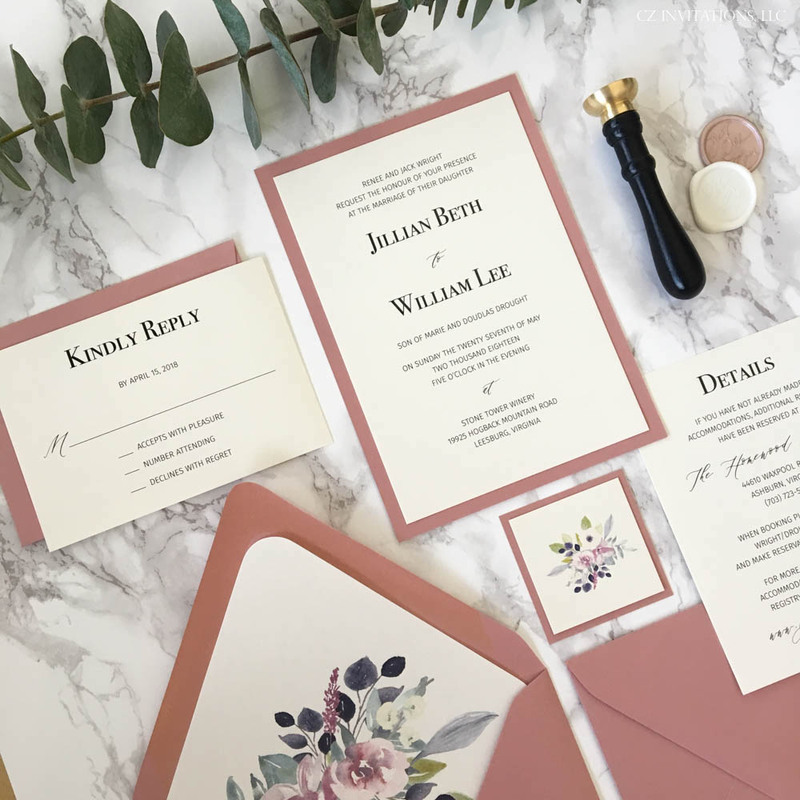 We'd love to help you with your invitations, but if you're a DIY kinda gal, we can sell you all the pieces and parts to add to your existing invitations. Glitter paper, envelopes, liners, wax seals, addressing--you name it, we can help!